Tune in to this episode of Columbus! Something New to enjoy our chat about Deschutes Brewery Street Pub Columbus, The Walrus Kitchen & Public House, Columbus Metropolitan Library’s Main Library, McConnell Arts Center Museum Pop-Up, and Sidebar Columbus. Deschutes Brewery Street Pub was here Saturday! Speaking to a volunteer when we arrived, she explained Deschutes Brewery is a family ran business, and this street pub is their way of giving back. 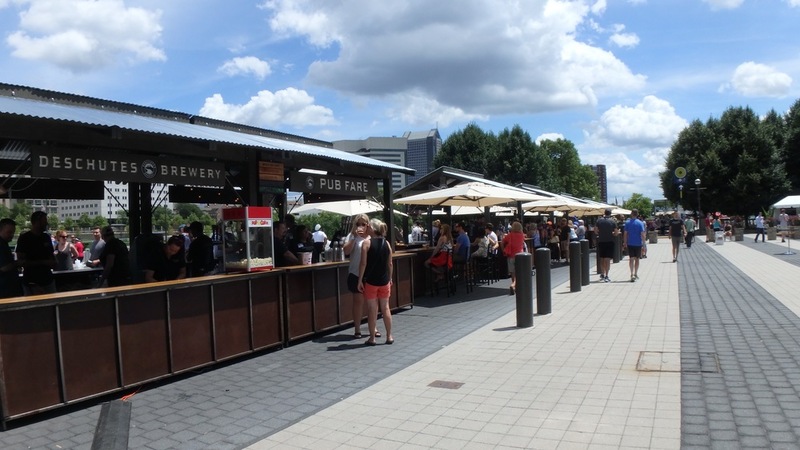 They select cities across the U.S., set up a 400 foot bar, and give all the proceeds to a local non-profit, charitable organization. They selected Mid-Ohio Foodbank as the Columbus beneficiary! Deshcutes Brewery started in 1988 with their flagship beer, Black Butte Porter. As a native to Ohio, I had no idea what a butte is, nor how to pronounce butte: /bjut/, so this was a learning opportunity. I started (and finished) with their Black Butte Porter, and it was perfect! Burke tried a few of their beers, and finished with their special tap of Black Butte XXVI. That last butte was a doozy for Burke! Also, they select a local guest tap, and Land-Grant was a feature tap! Thank you to Jason for speaking with us, and Joey for the interview! While Carrigan was at art on Sunday, Burke and I browsed the newly reopened Main Library of the Columbus Metropolitan Library. Lots of space to work and read. And Burke found great views out of the library. 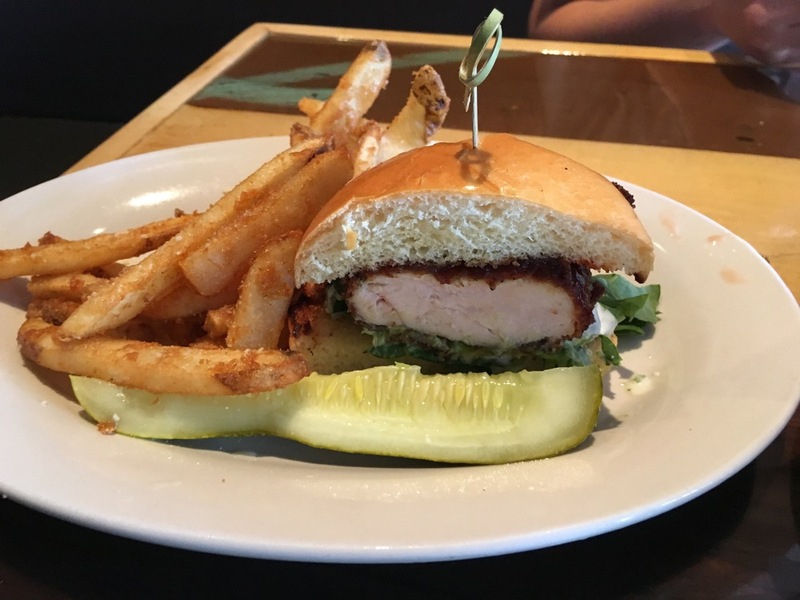 From there, we stopped by The Walrus Kitchen & Public House for the first time. I felt totally comfortable in my 'I just dropped off my kiddo at art class' clothes, and I would have been comfortable dressed up a bit more, too! We ordered the Portobello Fries appetizer, and split the Breaded Chicken Sandwich which was served with the best fries I have had in a long time! Friendly and comfortable with tasty food as a kicker, The Walrus has not seen the last of us! Jessica and Jason were very busy this week and weekend, and Jessica shared with us a few things they did. There was a pop up art museum at the McConnell Arts Center in Worthington. This participatory display encouraged the viewer to become a part of the museum by leaving their own bit of art. Not sure if she would have to stay there with her art, Jessica did not bring art to display, and wished she would have at least brought some just in case! 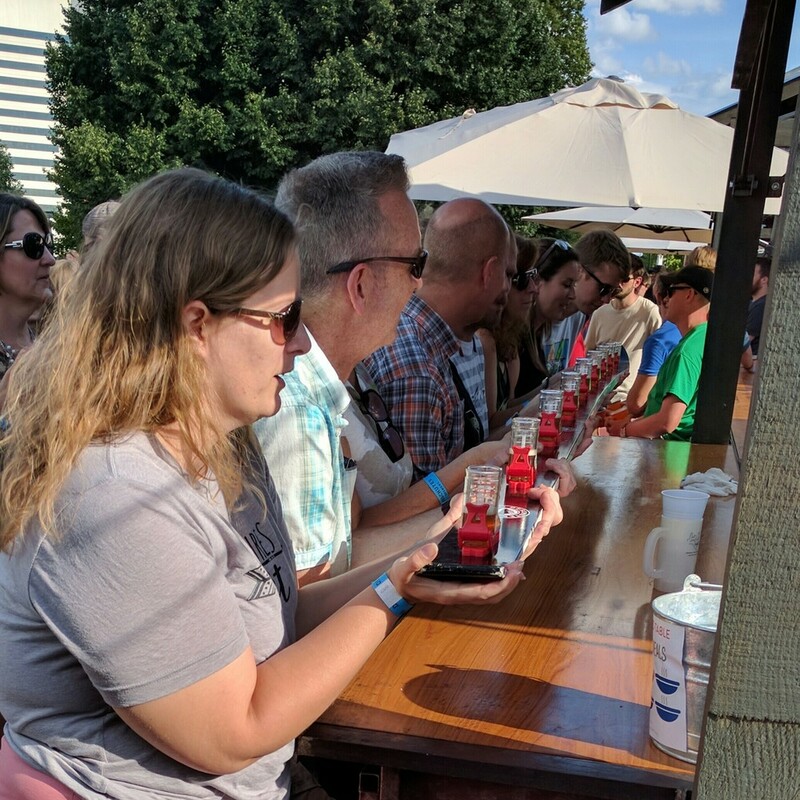 Jessica is super-pumped she was able to participate in the Deschunes Street Pub Shotski! See photo for a clear image of that little boot shot glass! Jessica and Jason stopped by Sidebar Columbus for empanadas and tapas! And for Jessica's One More Thing, she wants us all to stop by Franklinton and walk among the art panels on display at the corner of Rich St and McDowell St.
We love talking about up and coming events in Columbus. Here are links to help you plan ahead!